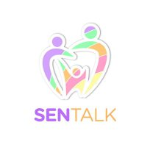 Sen Talk CIC is a parent led group for parents and carers of children with Autism Spectrum Disorder (ASD), Attention Deficit Hyperactivity Disorder (ADHD) and other related conditions. Sen Talk CIC is delighted to announce the continuation of our Lego Based-Therapy programme for 2018. LEGO®-based therapy is a collaborative play therapy in which children work together to build LEGO® models. The aim of the group is to help children to develop social interaction skills in a friendly, fun setting. Instead of building LEGO® sets by themselves, children work in pairs or teams of three. The task of building is divided into different roles, so that social interaction is necessary to participate. By doing this, children practice key skills of collaboration, joint attention, sharing, turn taking, eye contact, communication, social problem-solving and compromise. Sen Talk CIC is a non-for-profit organisation and have decided not to charge for these sessions to ensure it is as accessible as possible. However, we would like parents and carers to consider a £3 optional contribution per session, to support the continuation of the project, but this is not compulsory. If you think your child would like to be part of this group, please contact us to arrange a time to meet you and your child. In this meeting we can discuss the groups in more detail and answer any questions you may have. If you decide to take part, we would also ask you to complete some questionnaires so that we can evaluate the effectiveness of the group. Free but a donation of £2 per session would be appreciated, if you can manage it.